Coming Very Soon! My favorite topic: Kids and Cooking. This series of blog entries is very close to my heart. I firmly believe that if kids are introduced to the kitchen early, it can actually bring the family closer together and give them a great appreciation not only for food but where it comes from. No more chicken fingers, hot dogs or horrible children’s menu. They won’t want it! To intoduce this new series to our blog, La Villa Bonita is offering an incredible opportunity. 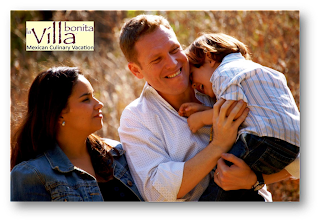 August has been declared a Family Month at La Villa Bonita. KIDS JOIN US FOR FREE FOR SELECT AUGUST DATES! Click for more information. Lets have fun as a family this August!